For every average business, managing funds, expenses, and other resources can be very overwhelming and stressful for its owners. To get your business organized, you may want to consider hiring the services of professional accounting firms. When it comes to finding efficient Adelaide accounting services, there are always several options to consider. Whether you choose to hire in-house accounting services or outsource your accounting and bookkeeping services, you deserve the best. There is no better way to grow your business and save money simultaneously than this. You’ll need a professionally qualified team of experts to help you navigate through your many options in accounting services. 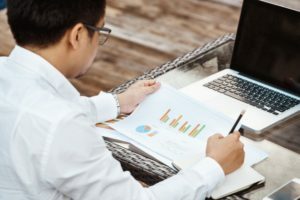 If you are looking to hire the best Adelaide accounting services, here is what you need to know. 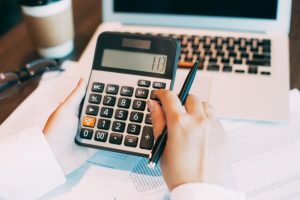 The first step toward finding reliable Adelaide accounting services for your business is gathering referrals and recommendations and interviewing shortlisted accountants. This will help you identify those firms that are a good fit for your company. Based on an hourly or monthly rate, you can effectively establish an appropriate fee structure for your business. Before hiring any accounting firm, it is imperative to evaluate all quotes obtained from prospective firms. Note that the cheapest quote may not always be the best option for your company. Before making a final decision, ensure to take every other factor into consideration. Just so you know, not all accounting firms with big names are competent enough to handle your different issues. For an insight to this, you can ask your prospective accountants how they’d handle such challenges when they arise. Based on their responses, you can effectively judge their competence. Your prospective accountant should be able to handle situations in simple and clear manner. Obviously, they must be good communicators. The growth of your business depends on how they handle its affairs. When it comes to dealing with accountants there is the need to establish a good Relationship. No matter how professional an accounting firm may be, things will rarely work out if the relationship is poor. You can’t get the best Adelaide accounting services if it’s difficult to get on with your chosen accountant. The importance of forging a good working relationship with your accountants cannot be overemphasized. Trust is essential for a good output. But if you discover some discrepancies don’t hesitate to look elsewhere. From bookkeeping and investment management to tax and auditing, you’ll need to hire firms that offer a range of services. You need to know the range of services the firm offers particularly if you’re looking to have full accounting services. Before making any decisions, you’ll need to verify the areas your accountants cover. This is because not all firms offer a full range of accounting services.